Wash the rice and allow to dry. There should not be moisture left. Grind it in a mixer to smooth powder and keep aside. Dry roast urad dal and remove from the heat. Grind it in a mixer to smooth powder. Soak moon dal in water for 1 hour and grind to a smooth paste. 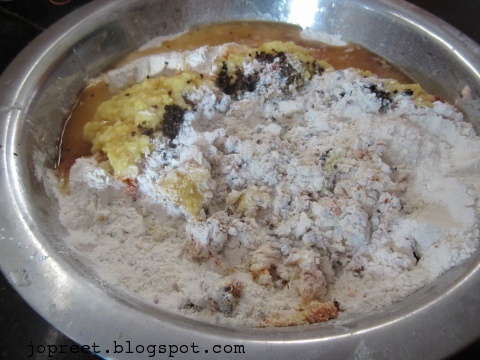 Now combine rice flour, urad dal flour, moong dal paste, salt, roasted sesame seeds and chili powder in a large mixing bowl. Melt butter and add to the flour. Now knead to a smooth dough (it should not be sticky) adding enough water and close it. Keep it aside for 15 mins. Take muruku press and grease with oil. Heat oil in a heavy bottomed kadai. 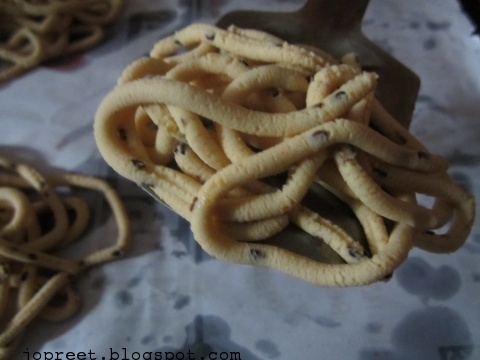 Take mold with three holes for thenkuzhal muruku. 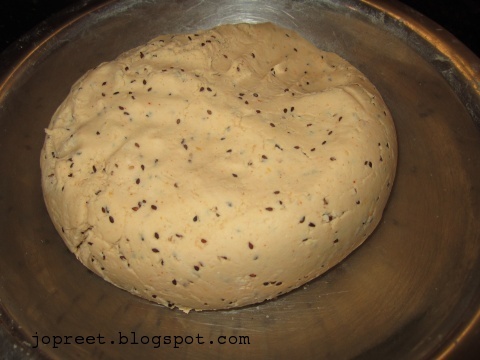 Fill the muruku press with one part of the dough and close it. Dont close it too tight. Take a newspaper or polythene sheet and squeeze the muruku press in circular motion. 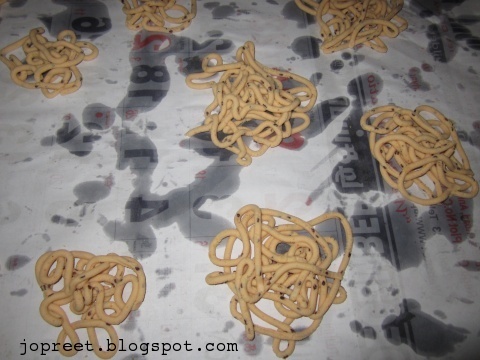 Make 5-10 shaped muruku which saves time. With the help of flat shape ladle, take the shaped muruku and drop in hot oil one by one. Fry till it turns golden brown and oil sputtering sound stops. Keep the flame on medium level.